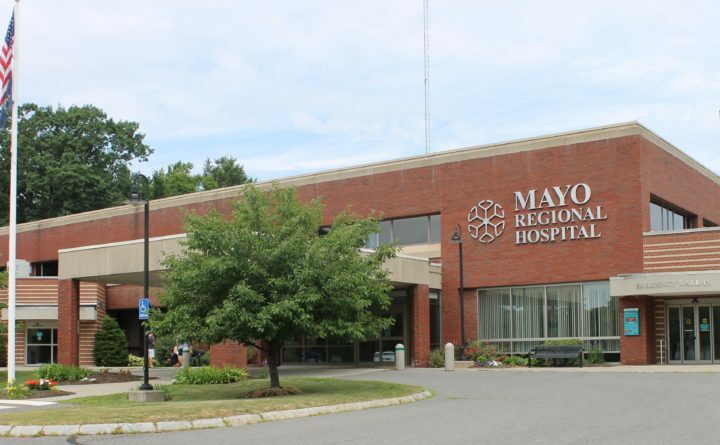 An act of the Legislature is needed if Mayo Regional Hospital’s merger with a statewide health care system is to go forward in the way administrators at the Dover-Foxcroft hospital are proposing. But no legislator from Piscataquis County has publicly committed yet to sponsoring the legislation that would eliminate the charter the hospital has operated under since the 1970s. Rep. Paul Stearns, R-Guilford, said eliminating the hospital’s charter is too great of a change to make without more direct support from the 13 communities that make up Hospital Administrative District No. 4, the quasi-municipal, public entity that owns and operates Mayo Regional Hospital. The district’s board voted 15-3 Wednesday night to start a merger with Northern Light Health, the Brewer-based hospital chain that includes Bangor’s Northern Light Eastern Maine Medical Center and eight other hospitals. Gerald Nessmann of Sebec, a member of the Hospital Administrative District 4 board, spoke at a meeting Wednesday night before the board voted to merge Mayo Regional Hospital with Northern Light Health. Mayo administrators and numerous board members have said that joining a larger health system is critical so the 25-bed critical access hospital and its affiliated clinics can continue treating patients in a rural area. The hospital has sustained operating losses every year since 2010 and has zero days of operating cash on hand, according to President and CEO Marie Vienneau. Also on Wednesday, board members voted 14-2 to inform the district’s member communities that the district may have to levy $1 million in taxes later this year due to a steeper-than-normal operating loss — about $1.5 million — in the first four months of this fiscal year, Vienneau said. While the district’s charter allows it to levy taxes, it has never done so since it was created by state law in 1973. Hospital Administrative District No. 4 would dissolve under the terms of the merger with Northern Light, but the district’s charter requires affirmative votes from the 13 member communities for the dissolution to go forward. The merger agreement approved Wednesday requires the enactment of legislation that would eliminate the charter and remove those communities’ ability to vote on the merger. Hospital Administrative District No. 4 is made up of Abbot, Atkinson, Bradford, Cambridge, Dexter, Dover-Foxcroft, Guilford, Milo, Monson, Parkman, Sangerville, Sebec and Willimantic. Stearns said he would like the district’s member communities to have a chance to learn more about the merger and decide whether it should happen. He did not take a position on the merger itself, but said he cares about the process by which the change is approved. “If the local citizenry in one way or the other were to vote to change their own charter, that they signed in on, then certainly, you want to carry the will of the people, and I would do that,” he said. Another lawmaker from Piscataquis County, independent Rep. Norm Higgins of Dover-Foxcroft, attended the board meeting Wednesday night. At the meeting, he said he hadn’t been aware of legislation in the works to allow the merger. Sen. Paul Davis, R-Sangerville, did not immediately respond to a phone call seeking comment. Vienneau said the proposal to eliminate the district’s charter — and with it, the ability of the individual member towns to vote on its dissolution — is based on a legal precedent from 2001. In that case, the district that owned and oversaw Penobscot Valley Hospital in Lincoln, Hospital Administrative District 1, transferred its assets to a nonprofit organization through an act of the Legislature. That change was not related to a merger; rather, it followed years of debate about whether the district should be able to tax its residents, according to news coverage from the time. Before the law changed, the Lincoln hospital — which is still operating after filing for Chapter 11 bankruptcy protection early this year — hired a professional firm to do a telephone survey of 300 district residents, which showed two-thirds of them supported the change. Leaders of Mayo Regional Hospital say that the proposed merger with Northern Light Health is meant to avert financial challenges similar to those now facing the Lincoln hospital. The recent operating losses are related to several factors, Vienneau said, including a major conversion of the hospital’s information system, low patient volumes and reimbursements that have yet to come from Maine’s recent expansion of the MaineCare program. The district has $13.7 million in a reserve fund, according to Vienneau, but the hospital also has $9 million in debt and a $1 million line of credit. If the merger were to go through, the reserves would probably be used to pay the hospital’s debts, she said. According to the district’s charter, the hospital’s assets are supposed to be divided proportionally among member towns if the hospital administrative district dissolves. The merger agreement approved Wednesday would give officials from the hospital and Northern Light Health the decision over what should happen to the district’s reserves. Hospital officials have said the merger will receive additional scrutiny from state regulators, who must grant a certificate of need, and the board of Northern Light Heath, which must also approve the deal. Hospital Administrative District No. 4 is the only such district remaining in the state and would become a nonprofit organization if the merger is completed. 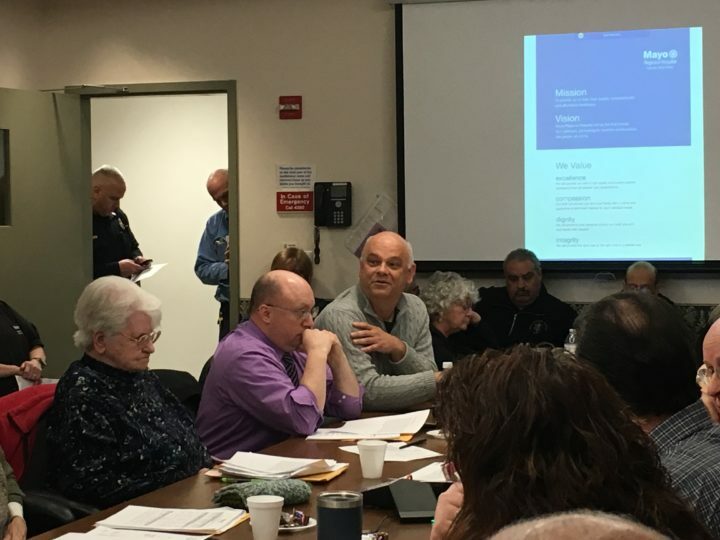 Hospital leaders have attended meetings of some town select boards in the administrative district and are planning to hold more of those meetings, according to Dan Cashman, a hospital spokesman. It is also planning to hold information sessions to answer questions about the merger, Cashman said. But that past outreach was not enough and any future efforts will be coming too late, according to Gerald Nessmann, a hospital administrative district board member from Sebec who has been particularly vocal in his objections and even sued the district last fall seeking more information about the process. “This is a binding agreement,” he said after the vote Wednesday night.